This department was established in 1988. It was accredited in 2002 by the NBA and awarded B-grade. The ECE department has had excellent academic progress over the past one decade with highly motivated students and well qualified faculty members. All the programs of ECE department have been approved by NAAC and UGC. 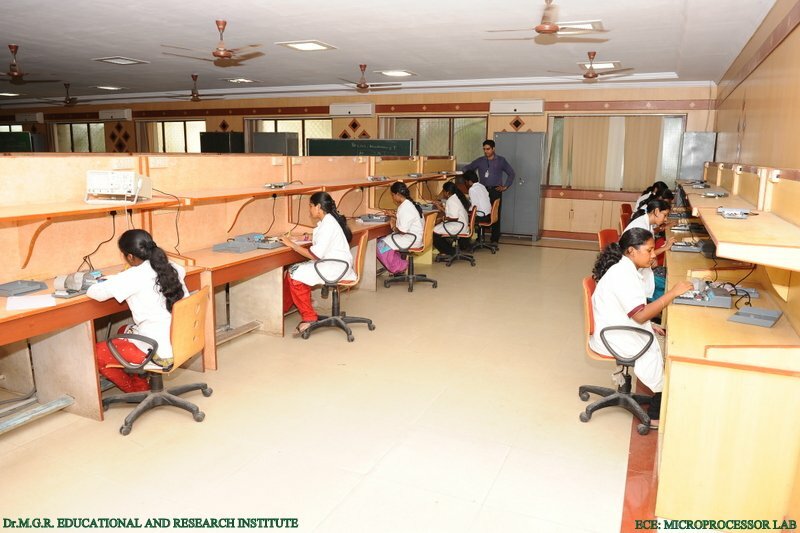 The department has research scholars actively working in different emerging research areas. 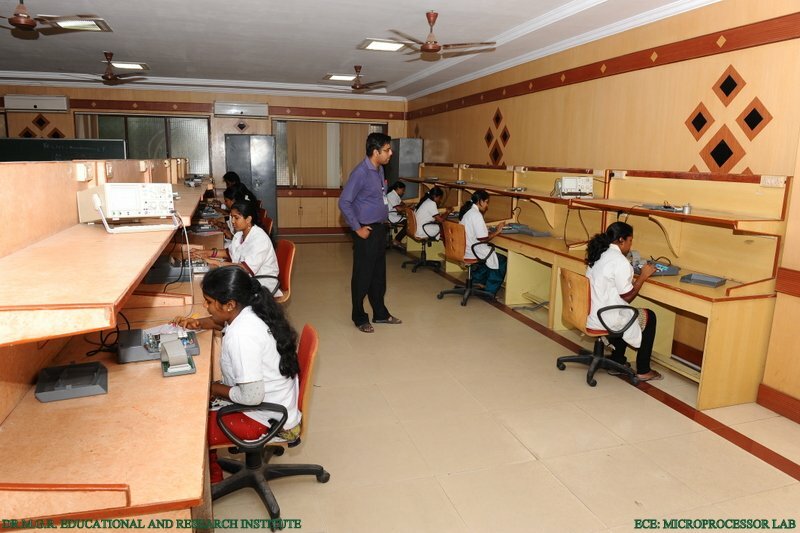 To create centers of excellence in evolving core areas of ECE and effectively respond to skills in demand in the industry, R&D organizations and professional commitment that prepare them for higher education. To emerge as a premier center of technology development using open source tools. To produce highly motivated, technical competent, morally strong graduates with deep roots in our culture and with adaptive respond to global challenges. Learn, teach and validated procedures with transparency. PEO-2 Core Competencies: To be Well-trained in the fundamental concepts of Electronics and communication engineering and be able to continue their professional development throughout their careers. PEO-3 Breadth: To be able to successfully achieve good scientific and engineering breadth so as to enable students to comprehend, analyze, design, and create novel products to solve real life problems. PEO-4 Professionalism: To inculcate effective communication skills and team work so as to be capable of functioning responsibly in diverse environments. PEO-5 Learning Environment: To provide an ample facilities to use the modern design tools and analysis and practice in dependent, interactive and lifelong learning. The Department of Electronics and Communication Engineering has a Library with 1000 Books under 350 Titles. 23 Prashanth.H.S. ECE 05 D017 Dr. Shashidhra.H.L. TAMILNADU STATE GOVERNMENT, DEPARTMENT OF SCIENCE & TECHNOLOGY adopted the project "Call Diversion to a mobile phone from a dead land line� accomplished by Raja Mohammed, Rangarao, Sathyamoorthy. Amit Kumar Choubey and ravi raushan have successfully completed their internship at fxxc, Beijing , china 2005-06. Vivek Chandra and Veer Vikram presented a paper on " NXT Gen Networks� at Shanghai at the WORLD ENGINEERS CONVENTION, China. Sameer R. Blaggan and Vivek Chandra were selected to undergo a three month training programme at DYNAMIC ENGINEERING TECHNOLOGIES , Kuala Lumpur. P.N. Kadappan presented a paper on " Low cost Tsunami Detector using variations in the channel � in the NATIONAL CONFERENCE ON SIGNALS, SYSTEMS AND COMMUNICATION (NCSSC-2005) organized by Dept.of ECE , CEG, Anna University. R. Rampriya and N. Thaiyalambika presented a paper on " Swift Data Transfer Via Optic Fibers � at the INSTITUTE OF ELECTRONICS AND TELE-COMMUNICATION ENGINEERS, Ahmedabad. Mohan Veerabadra Prasad and Madhumitha Ramani presented a paper on "Security Mechanisms For Mobile Agents� at SRI VIDYANIKETAN ENGINEERING COLLEGE , AP. Ravi Raushan and Amit Kumar Chaubey , presented a paper on "industrial solid waste treatment� at Jordan International Chemical Engg Conf- V. Jordan. Ravi Raushan, Amit Kumar Chaubey and v. Manoj kumar has presented paper on high speed data acquisition system design in IEEE sponsored conference in harbin , china.